WK Bong (lightbwk) awarded rBbd309603c535: Clip invisible parts of image when drawing in 2D textures and GLSL Modes a Like token. WK Bong (lightbwk) awarded rB9aff51661c93: Optimization for initial display of high res textures in viewport a Love token. WK Bong (lightbwk) awarded rB6f83710af94a: Optimize projection painting with big brushes a Love token. WK Bong (lightbwk) added a comment to T47705: Freestyle line glitch. This has cause me few job losses. WK Bong (lightbwk) created T47705: Freestyle line glitch. WK Bong (lightbwk) created T45737: BI: Washed out vertex color from material node. WK Bong (lightbwk) awarded rB6272babfba7f: Remove panel emboss a Like token. WK Bong (lightbwk) added a comment to T44728: UV seams visible at distance with texpaint even with 8 px bleed & 0.1 filter size. "surely we can improve BI to support maximum mipmap level or to do more AA samples"
More renders of the case. WK Bong (lightbwk) added a comment to T44791: Unpaintable transparent triangles with texture paint. Cool. At least we have some clue of the cause. WK Bong (lightbwk) created T44791: Unpaintable transparent triangles with texture paint. I found a temporary fix for this on BI. Turn ON transparency on Material & Alpha influence on texture. WK Bong (lightbwk) created T44728: UV seams visible at distance with texpaint even with 8 px bleed & 0.1 filter size. WK Bong (lightbwk) created T44627: Texture Paint float buffer: 1. Alpha problem at edge 2. Painting glitch. WK Bong (lightbwk) awarded D1002: Font preview for file editor a Love token. WK Bong (lightbwk) created T44093: SV+H color picker should be named VS+H. 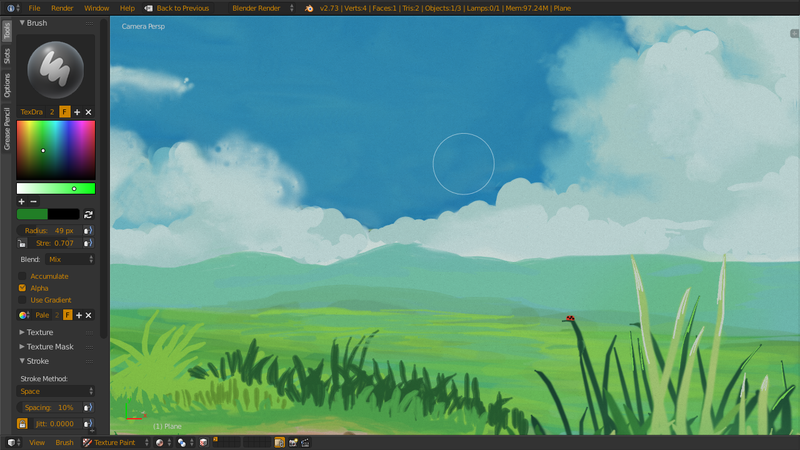 WK Bong (lightbwk) added a comment to T43937: Texture paint brush shortcuts no longer working. I was painting in full screen. I was pressing the number keys from 1 to 0, only noticed brush changed via the brush texture in Properties window. Update: Shortcut working, but UI not updating. Errr. WK Bong (lightbwk) created T43937: Texture paint brush shortcuts no longer working. WK Bong (lightbwk) created T43847: Color difference when texpaint brush with/without texture..
WK Bong (lightbwk) created T43824: Projection from view caused distorted and overlapping UV. 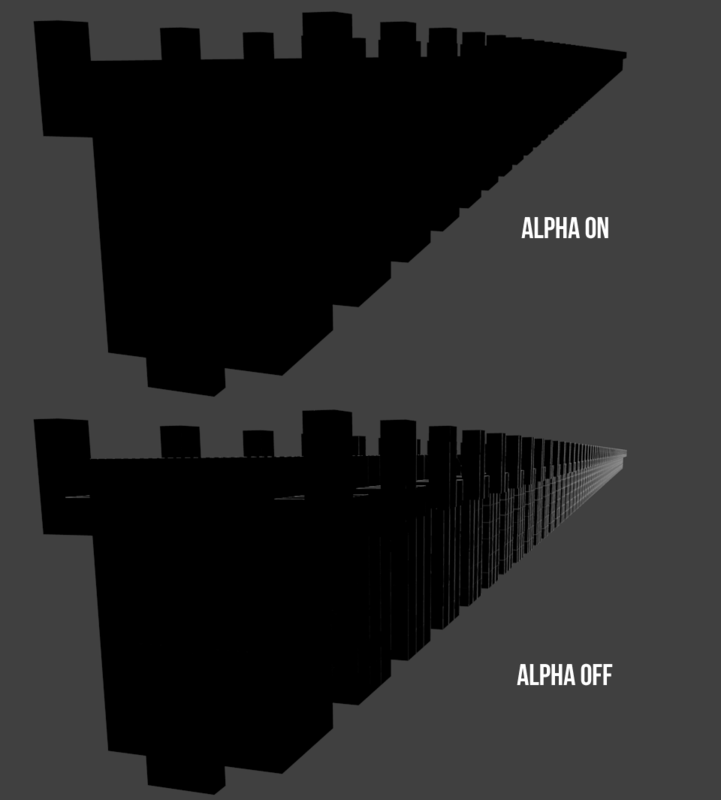 WK Bong (lightbwk) added a comment to T43571: Blocky texture paint stroke interpolation. All the blocky grass part is caused by the same problem. Smooth stroke cannot solve it. Start and end tapering by pen pressure are smooth out into dull ends. WK Bong (lightbwk) added a comment to T43574: Different names for 1 texture. 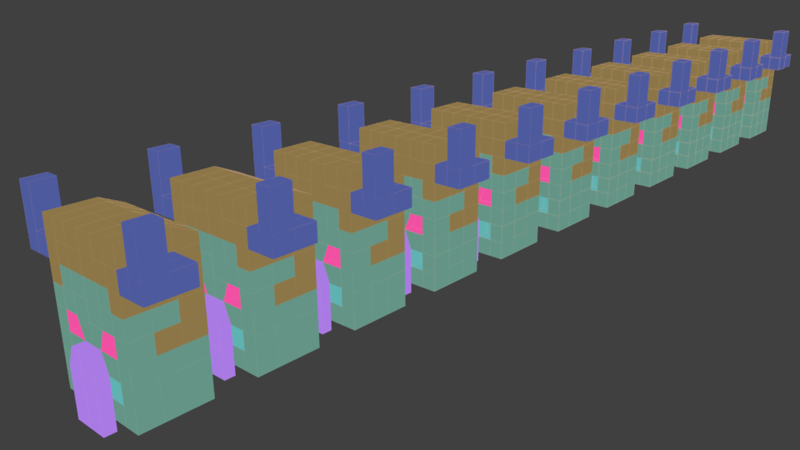 I wish it can automagically give the texture a good name, but the name is all over. Sometimes the correct one in the texpaint slot, sometimes in the file name and most times the texture slot. I hate myself for noticing the UX problem after >2k textures were painted. Blank file ready for painting. Thin strokes, can see the blocky part. Similar on larger brush. WK Bong (lightbwk) created T43574: Different names for 1 texture. 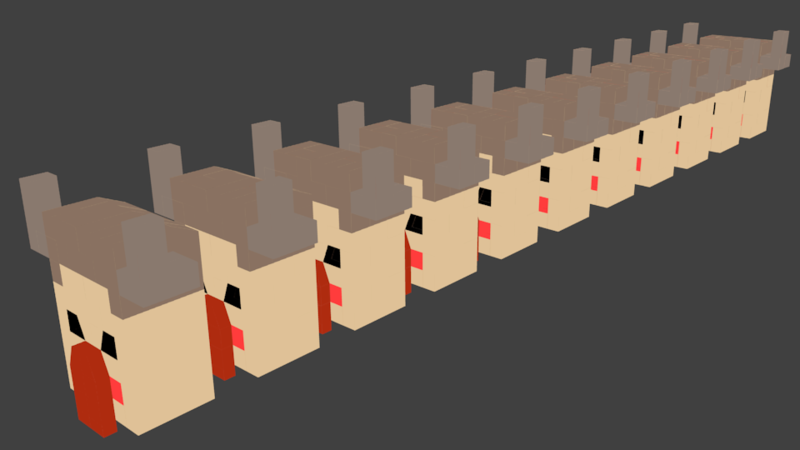 It is still blocky even at high samples. At sample of >10, the smoothing is causing too much lag for comfortable painting. 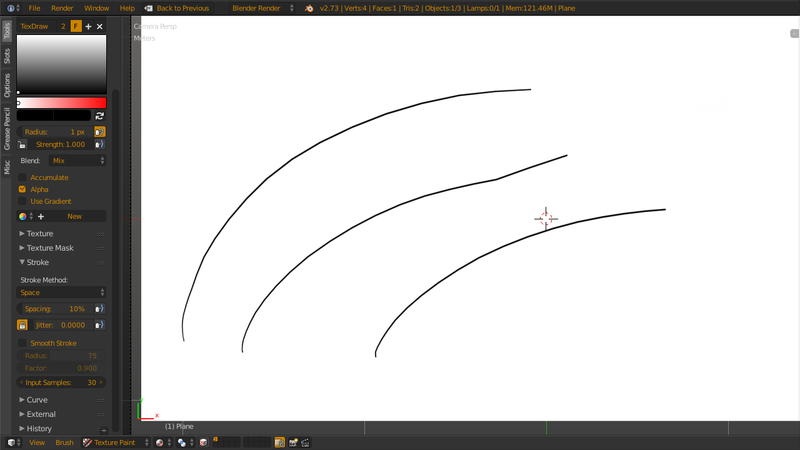 The line only smooth at 30 input samples with too much lag. 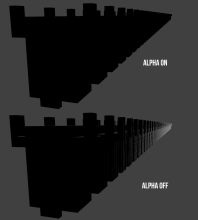 WK Bong (lightbwk) created T43571: Blocky texture paint stroke interpolation. WK Bong (lightbwk) added a comment to T43055: Fly/walk view nav cause parent object to move with child camera. Ohh, good. IMO, that button should be disabled by default. Been confusing few of my vfx mates. WK Bong (lightbwk) created T43055: Fly/walk view nav cause parent object to move with child camera. WK Bong (lightbwk) awarded D909: Vector Transform node support for GLSL mode and the internal renderer a Like token. WK Bong (lightbwk) awarded D923: Cycles Geometry outputs support for Blender Internal and GLSL render a Like token. WK Bong (lightbwk) added a comment to T39166: Disappearing text objects. .
WK Bong (lightbwk) added a comment to T37419: Update Default Theme Colors for 3D View and Wireframes. @Bartosz Moniewski (monio) I don't advocate to use my theme's orange as default. It is best to stay with neutral greys as @DataDay (DataDay) argued clearly. But be extra careful with value, that is the parameter that makes or breaks a theme. Avoid those retina burn situations, because for some people, retina burn can be a permanent visual injury. @Andrew Price (andrewprice), sorry for covering that part up. I was trying to show the colors in the theme editor. Since you can pick color from it and experiment. This is Energy Theme V12-refC (work in progress). WK Bong (lightbwk) raised the priority of T37452: More descriptive tooltips for freestyles settings from to Needs Triage by Developer.